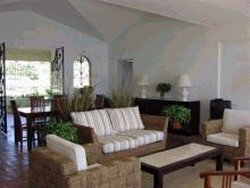 This Charming home, popular with repeat guests, was built for the owner of Coral Reef Club and has been recently refurbished. 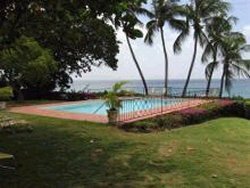 Its commanding site in the town of Half Moon Fort is on a coral cliff with breath taking views of the West Coast from Speightstown to St. James with a pathway leading to the beach below the pool. It is on a private road with two other villas and sits on over an acre of wall enclosed gardens. 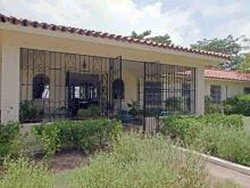 A wrought iron enclosed patio leads into a large living and dining room which is 30 x 20 feet and has vaulted cathedral ceilings of coral dust and mortar. Off the southern end of this room is a well appointed kitchen and laundry. On the other side of the living room an enclosed verandah leads to the bedroom wing, comprising of the master bedroom with its own bathroom and two other bedrooms which share a bathroom. All of the bedrooms are air-conditioned. The bedroom wing and the living room open onto the swimming pool and lawn overlooking the sea. 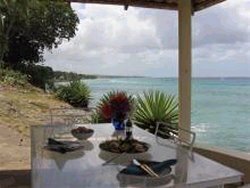 There is a sea-side gazebo for informal lunches.